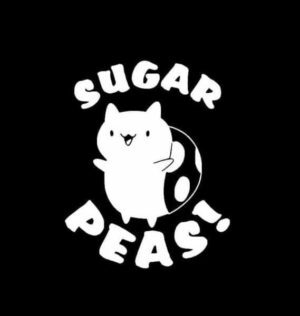 What is a little bit of sweet mixed with sassy? 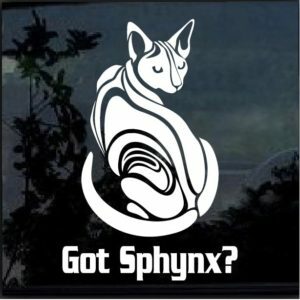 What may sit on your lap one minute and bite the hand that feeds it the next? 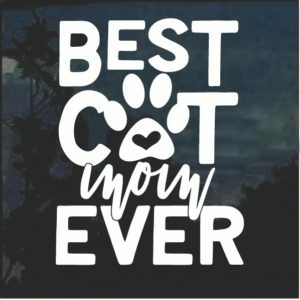 Your cat, of course! 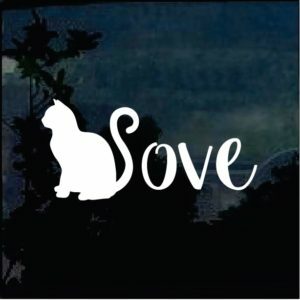 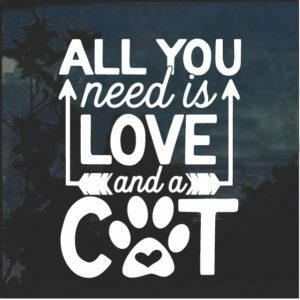 We know that you love your cat no matter if yours is a neck warmer or a grump. 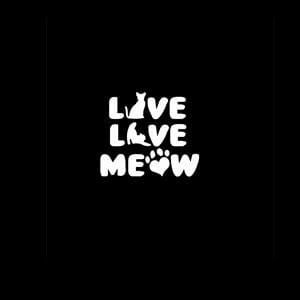 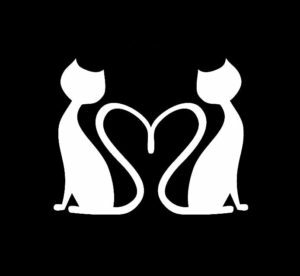 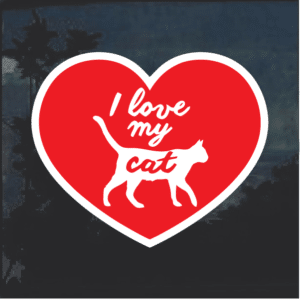 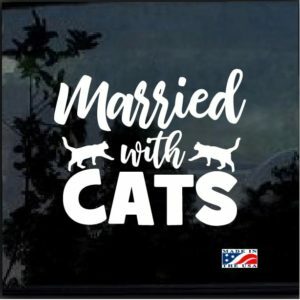 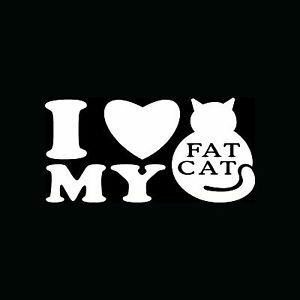 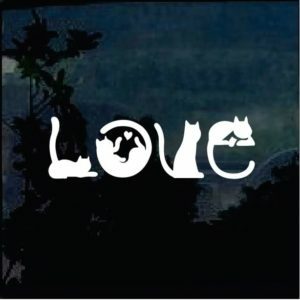 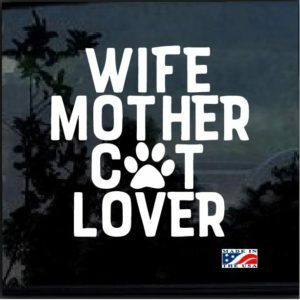 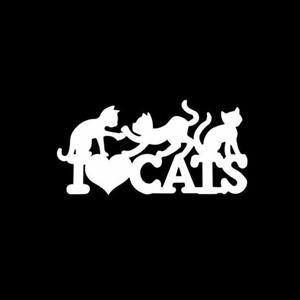 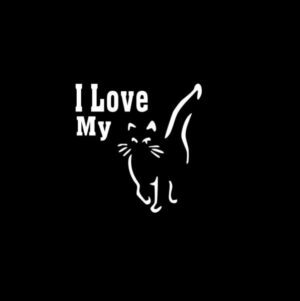 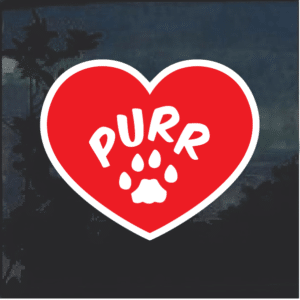 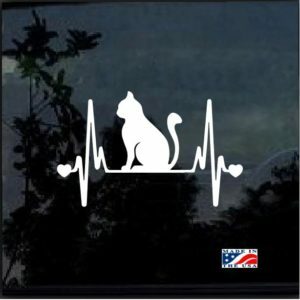 Why not tell everyone you know just how deep your love runs with one of our amazing cat stickers? 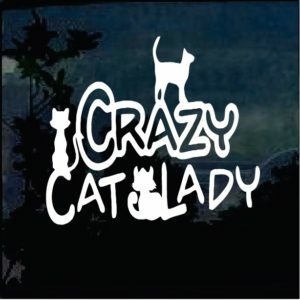 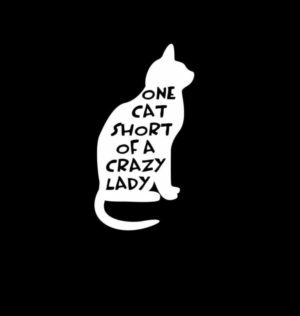 We don't think there is any such thing as having too many cats, but the "crazy cat lady" joke is something to embrace. 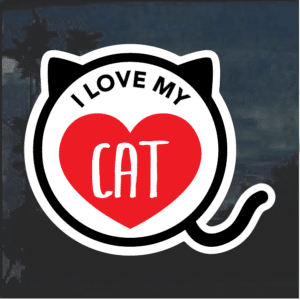 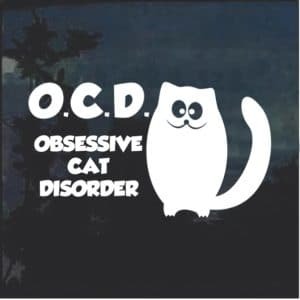 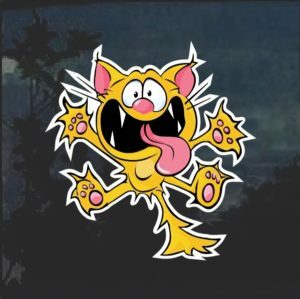 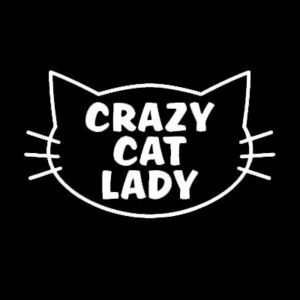 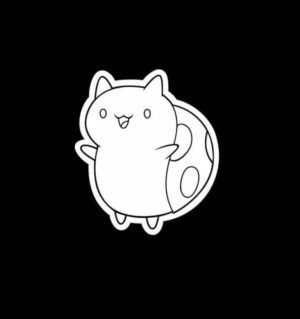 If you are one cat away from being called crazy, we have the perfect sticker for you. 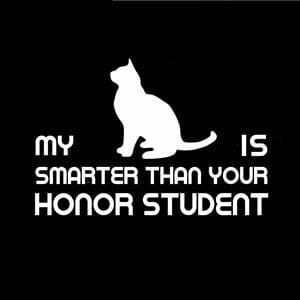 If your cat is a genius, they are definitely smarter than an honor student. 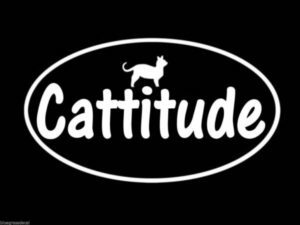 If you have a tortie, you know all about cattitude. 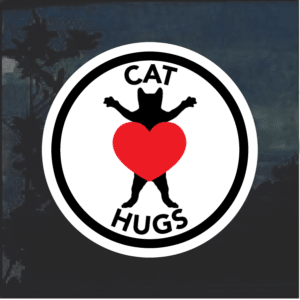 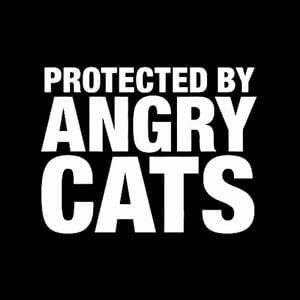 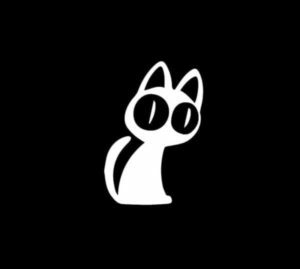 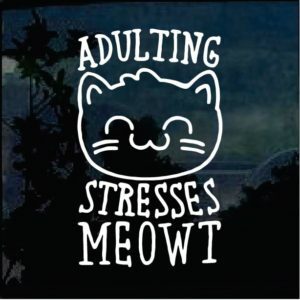 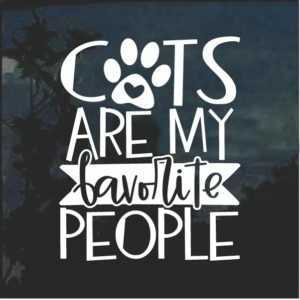 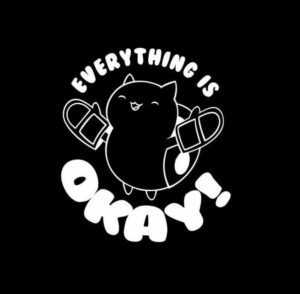 Browse through our fantastic selection of cat stickers. 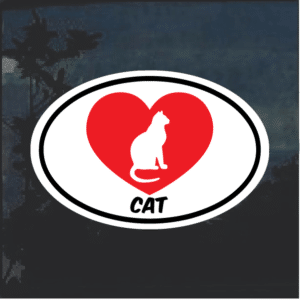 Our stickers are a perfect complement to virtually any surface. 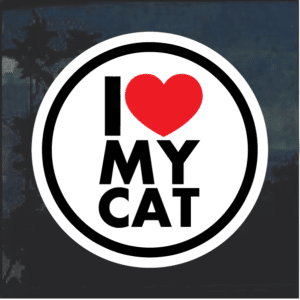 Buy one for your laptop, your fridge, your truck, or even your cell phone case. 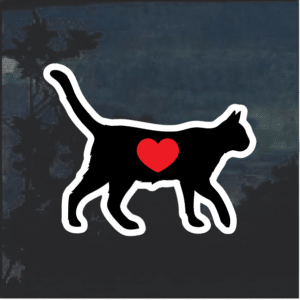 Anything can be made more attractive with a cat sticker! 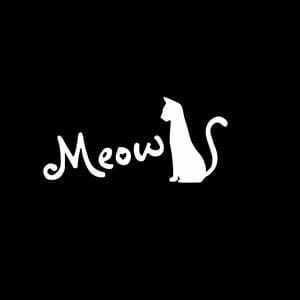 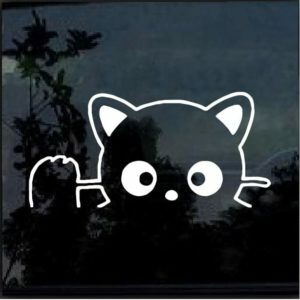 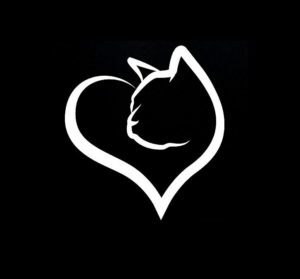 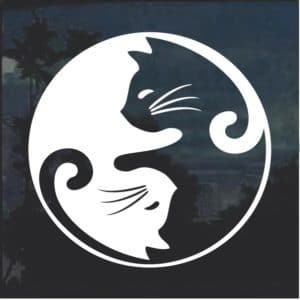 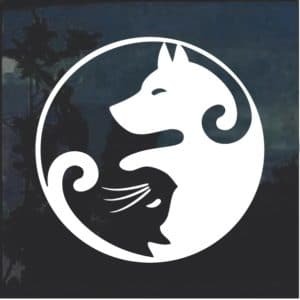 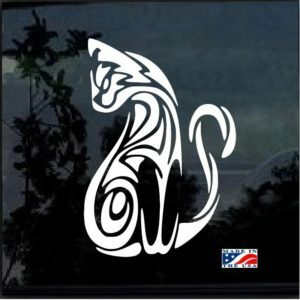 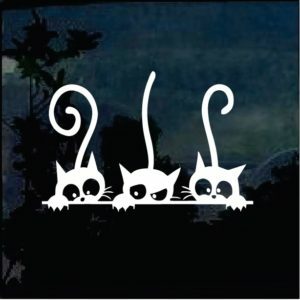 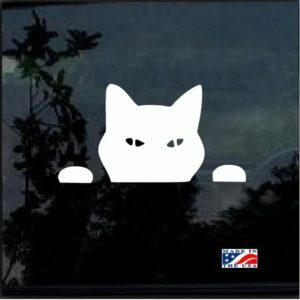 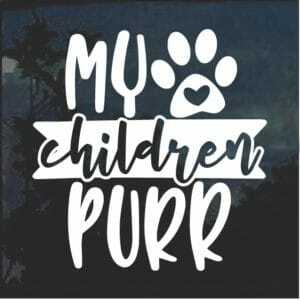 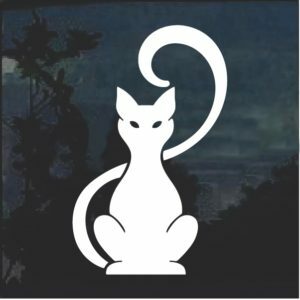 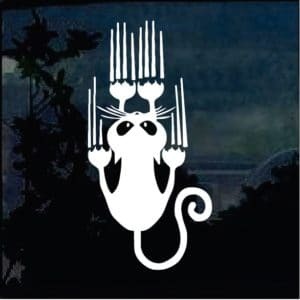 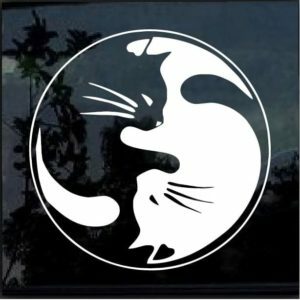 Order your cat sticker today from Custom Sticker Shop. 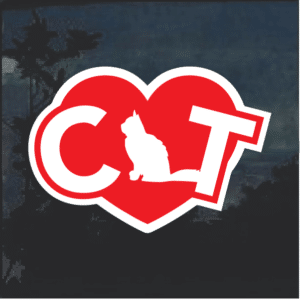 We are family owned and operated and have been serving our customers for more than 20 years. 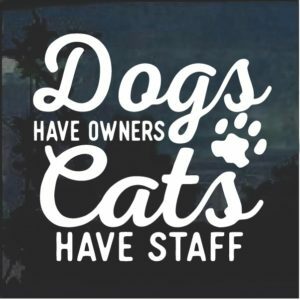 That means that you can trust that customer service is a high priority. 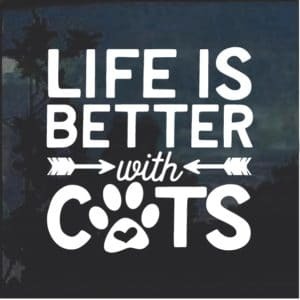 We want to ensure your satisfaction and will do what it takes to make sure you are happy. 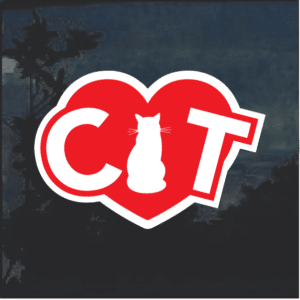 While you are shopping, be sure to check out our current deals. 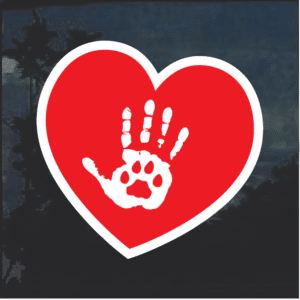 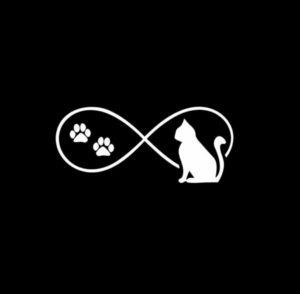 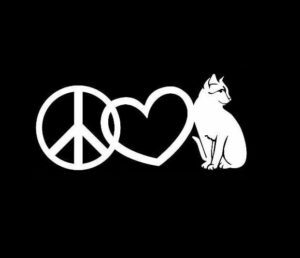 After all, if you have a dog in your life, you wouldn't want to make it jealous by just ordering a cat sticker! 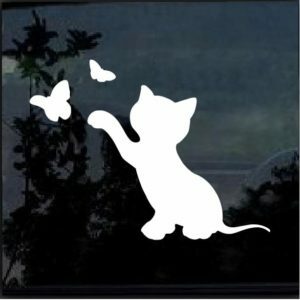 Our great discounts make it easy to afford a decal for every interest you have.